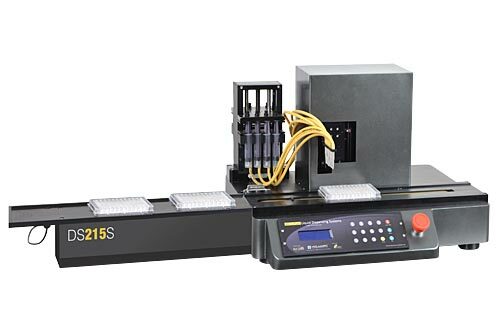 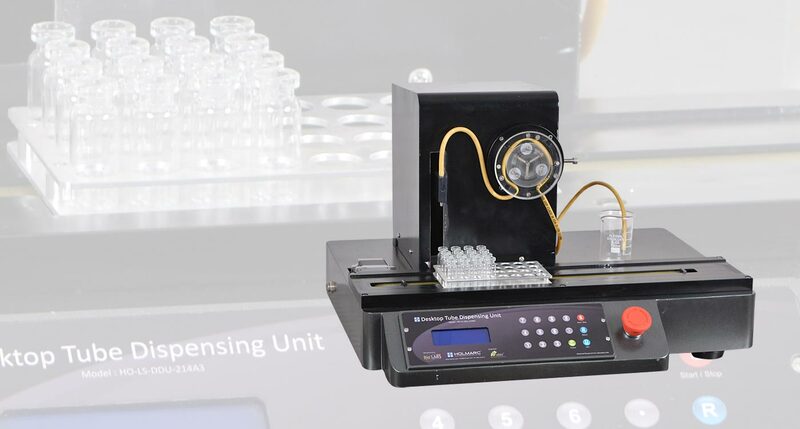 Holmarc’s single channel dispensing station (Model : HO-BL-SCDS-214P) automates repetitive dispensing of liquids in to bottles or container in the pre determined quantities. 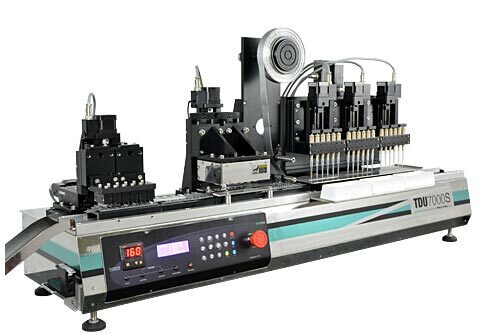 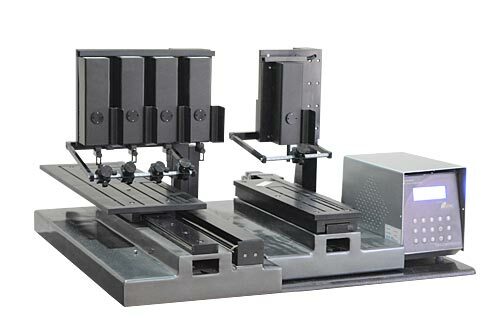 The system consist of a peristaltic pump, conveyor belt for positioning of bottler in x axis, two axis positioning (Y & Z) for dispensing nozzle and stand alone controllers with user interface integrated in the station. 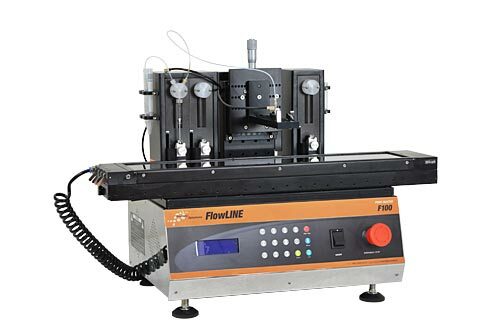 Use of peristaltic pump with easily replaceable tubes prevent contamination or the pump liquid in this case do not touch any of the pump parts except the tubing.